Before cryptocurrencies came on board, fiat currencies were the basis for cross-border remittance. After the launch of the first coin (Bitcoin), other alternative coins took the leap to the blockchain. Now, there are over 2,000 digital assets; each with many uses. While the surge in these coins impress us, it is important to highlight the roles of exchanges to their ever-increasing value. Before collaborations became the order of the day, trading on cryptocurrency exchanges was the best way to profit from the market. However, not only exchanges offer the best service. For this reason, a new platform that will change the traditional approach is now in the crypto-sphere. For unseasoned investors, trading on cryptocurrencies is a herculean task. It is a truism that these coins are volatile and their values can crash like a pack of cards. However, with the right approach, a trader can still profit from the bearish trends. This is not the case for amateurs who are still finding their foot in the market. To this end, Catex is making a case for them. The exchange is working at a promising trading experience for investors that are willing to walk the rope. What does the Exchange offer? Before delving into what it has to offer, it is important to understand its necessity at this time. First, there are incidences of hacks in the crypto sphere. In times past, the crypto community has been a witness to numerous hacks on different exchanges. A clear attestation to this is the hack on BitGrail that saw the carting away of over $150 million NANO token. On the other hand, the spotlight has recently been on Coinbase. The exchange got allegations of being a pump and dump platform that illegally increase the price of coins and dump them at will. To vouch for a crypto coin might pass as a bad investment idea. This is because of the volatile nature. In the same vein, not all hopes can be on cryptocurrency exchanges. However, the story is different in Catex. The exchange’s realistic approach makes it a safe bet. To this end, the exchange is one worth its salt and has little tendency to fail its teeming investors. In this era when Quantum computers are a threat, there is no doubt that Catex has what it takes to suppress external incursions. The exchange makes use of Two-Factor Authentication (2FA) as a security measure in securing fund withdrawal, accounts and trading histories of users. In addition, the unprofessional activities such as pump and dump will not be anywhere close to the exchange. In the light of this, there is no doubting the fact that Catex is secure. For regular visitors to crypto exchanges, the first thing that attracts their attention is the interface. Users will always go for platforms that enhance their user experience (UX). The current crops of exchanges seem to load up lots of information on a page. This reduces visibility and makes surfing a daunting task. Coming over to Catex, there is a simplified interface with well-detailed information. On the homepage, you get to see the number of the CATT token mined within the hour. The dividends that accrue to the mining are also available and cover that of the present day and the previous. About the dividends, that is one of the outstanding features of the exchange. We will talk about that soon! Users have a clear view of their favorite trading pairs. This is different from the time they will have to spend to gather data on other exchanges. The four (4) top coins (BTC, ETH, USDT, and DOGE) are atop the trading table. Just below them, you get to see the list of trading pairs, their prices, and their performance in the last twenty-four (24) hours. Without a doubt, the simplified interface is a good reason to port your assets to the Catex exchange. Mining tokens have never been this easier! 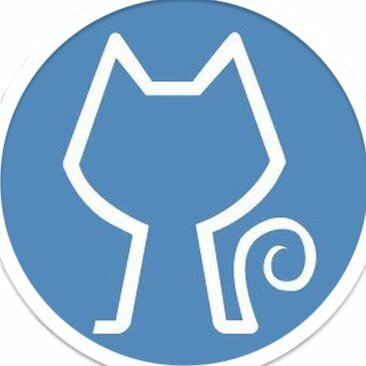 Catex works on the premise of a transaction-mining framework, which lets you, mine token while transactions are ongoing. To mine, you must some specific amount of the CATT token in your custody. The best angle to the mining activity is the share of dividends. Unlike many exchanges that earn transaction fees and keep all profits to themselves, Catex is of the view that users should benefit from dividends. Apart from receiving dividends from their locked tokens, token holders also get a cut at the end of trades. 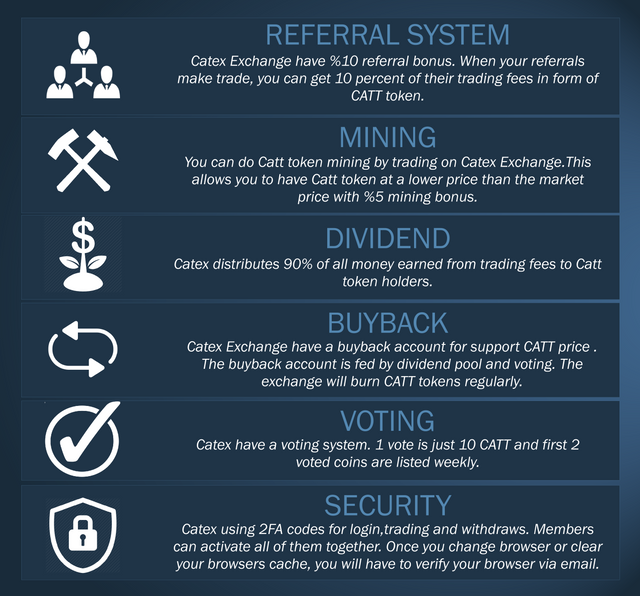 With as little as 200 CATT tokens, you can start mining tokens on the exchange and get a cut from the redistributed 80% CATT tokens at the end of the day. 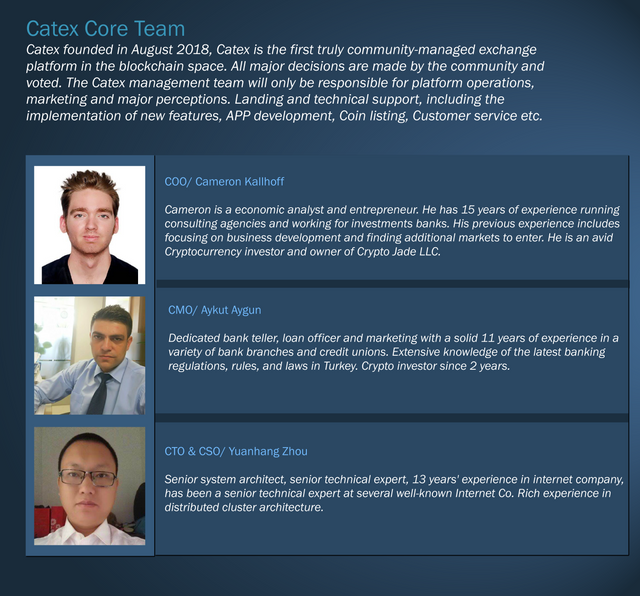 Coming across viable cryptocurrency exchanges such as Catex comes rarely. Now that it is here, the exchange will mop up the inefficiencies of other exchanges. With its transaction mining and redistribution of 80% dividends earned from transaction fees, it will make a lot of impact in the crypto-sphere. Already, it supports 18 crypto coins and is accessible from 190 countries.